1. An initiative to overturn California’s new mandatory vaccination law has failed to gather enough signatures to qualify for the ballot, the Mercury News$ reports. 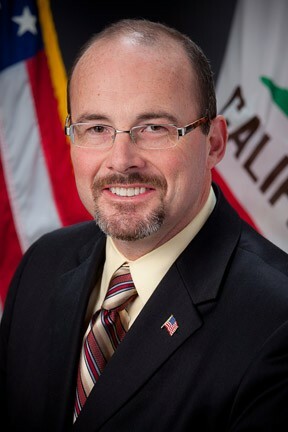 The effort, pushed by anti-vaccination groups and conservative radio talk show host Tim Donnelly, collected only about half of the needed signatures. In addition, anti-vaxxers took a hit from the US Supreme Court, when it ruled that New York state’s mandatory vaccination law is constitutional, KQED reports. The high court’s decision likely means that anti-vaxxers will not be able to overturn California’s law either. 2. Governor Jerry Brown signed legislation that abolishes the California high school exam retroactively to 2004, thereby making tens of thousands of state residents eligible to receive their high school diplomas, the Mercury News$ reports. Students who were denied high school diplomas because they did not pass the exam can now get them, as long as they’ve completed all of their high school graduation requirements. Earlier this year, the state stopped administering the exam because it’s woefully outdated. 3. Major League Baseball Commissioner Rob Manfred said he wants the A’s to remain in Oakland, the Bay Area News Group$ reports. "I want the A's to stay in Oakland," he said during a news conference Tuesday. "I think it is possible to get a stadium done in Oakland, and that remains my preference." 4. Berkeley Police Chief Michael Meehan said he wants his police officers to be able to carry Tasers, Berkeleyside reports. But it’s unclear whether the Berkeley City Council will change city policy to allow officers to have them. Many activists urged the council this week to not allow cops to have Tasers, because they’re concerned the weapons will be used predominantly on Black and Latino residents. 5. Big tech companies are among the least transparent when it comes to making contributions to political campaigns, the Chron$ reports, citing a new study from the Center for Political Accountability. Large tech companies such as Google, Salesforce, and Netflix have made big donations to so-called “dark money” groups that don’t have to make their contributions public. 6. Two people who operated an Oakland security company that was a spinoff of the notorious Black Muslim Bakery pleaded no contest to charges that they defrauded Alameda County and other public agencies, the Bay Area News Group$ reports. Dahood Bey and his mother, Rory Parker, who were the principals in BMT International Security Services, now face prison sentences. 7. And political outsiders Donald Trump, Ben Carson, and Carly Fiorina are now the frontrunners in California for the Republican presidential nomination, the SacBee$ reports, citing a new Field Poll.